My mom has a basket on the counter where she keeps napkins. I've decided that napkins make a nice soft pillow for me to sleep on. 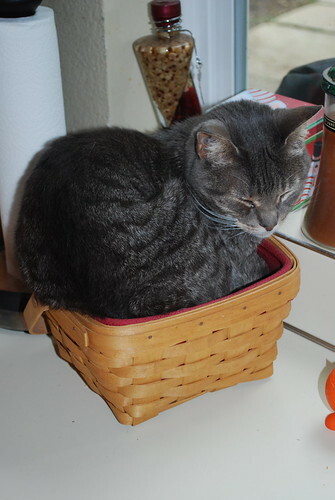 I just think I need her to get a bigger basket. What do you think? Apr 28 Hey, why didn't we get to go?